…Or two as it turns out. 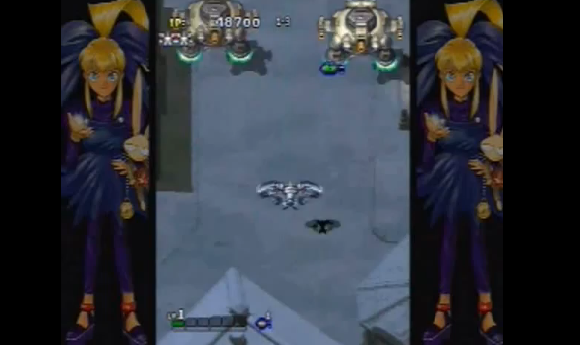 Like nearly every other scrolling shooter of the time, GSE includes an old and a new title; in this case, the PlayStation original and its Dreamcast successor. Play for five or ten minutes and it certainly appears to have all the basic elements in place; responsive and easy-to-master controls, plenty to shoot, copious amounts of bullet-dodging, crazy boss-battles and so on, but extended play leaves you reflecting on a game that’s rather less than the sum of its parts. Gunbird is a victim of its own self-imposed nostalgia trip; a trek back to the nineties that sees it looking distinctly ordinary next to its PS2 stable mates. The two instalments follow much the same storyline, with a few alterations. Your character spends the first few levels assembling parts of a magic mirror/elements of a Holy Elixir, and the last few finding a place to use them in order to be granted a wish at the end of it all. Admittedly, it all sounds a bit generic, though it actually works well enough. Both titles allow you to select from five different characters and here Gunbird is able to reveal a glimpse of its quirky and largely likeable streak of oddball humour. Each protagonist has their own distinct attack pattern and mode of transport, such as a broomstick or a magic carpet, which makes for a refreshing departure from the usual rockets. There’s a huge array of endings to unlock. You get a choice of two per character, plus a whole host of partnership-specific endings attained by beating the game in two-player co-op, and collectively there’s more than forty to unearth. They’re brief and have very low production values admittedly, but as often as not, prove laugh-out-loud funny. The pick of the bunch include allowing the bunny sidekick of the game’s star, young witch Marian, to make a wish, and also elderly adventurer Tetsu’s unlikely penchant for men in tight underwear. Stages can be played in a random order, and though few are memorable enough to make this feature overly useful, it does add at least a modicum of variety to proceedings. Various other aspects aren’t as well thought-through however. High-scores are largely meaningless due to a number of factors; there’s a severe lack of point bonuses, whilst unlimited continues distort your achievements. The lack of a save feature is an oversight too; scores are one thing, but being able to unlock and store endings, as well as characters, would have added some long-term appeal. 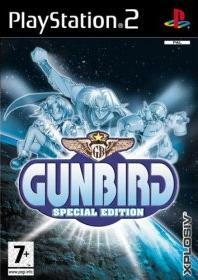 In terms of gameplay, the original Gunbird is the better of the two games on the disc, though its pretty standard fare. It’s fun in the immediate, but the levels are very much alike and their sparse nature means interest levels do start to dwindle rather quickly. Boss battles offer the most in the way of a challenge as they are varied and impressively designed, and on the higher difficulty settings, offer up a good barrage of firepower. 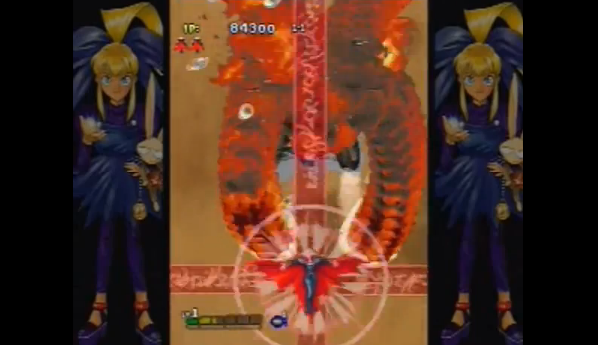 Gunbird 2 meanwhile is irreparably hobbled by its mountainous difficulty level. Given that the first game can be finished relatively comfortably on the first four of its seven skill settings, the programmers’ concept of ‘Baby’, ‘Child’ and ‘Very Easy’ seem to have altered radically between instalments. Even on its lowest setting, G2 is extremely hard to complete, meaning that only those with the patience of a saint (and considerable talent with a joypad) will be able to unlock the single-player endings. Overlooking this rather major stumbling block for a moment, it follows much the same pattern as part one, with largely unfulfilling levels leading up to some nifty boss encounters. The sequel does have some good features of its own though such as a short-range melee attack and the ability to store firepower to then use as a charge attack, but these are hardly revolutionary. The games look their age. 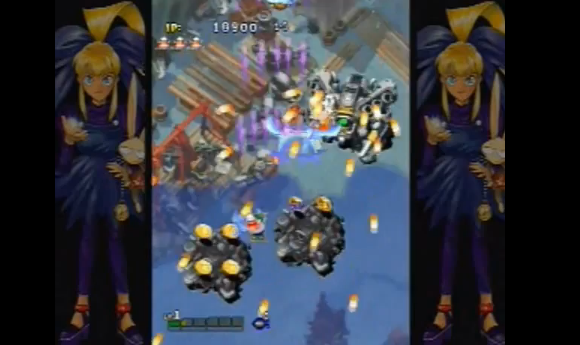 General presentation is slap-dash; sprites are small and plainly animated whilst the enemies are unimaginative. The backdrops are probably the game’s strongest suit visually; they’re varied in appearance and scroll smoothly, plus a fair amount of activity can be seen to be taking place within the levels, enough to warrant a few plays just to soak up all of what’s unfolding. However, things aren’t helped by the basic and often jarringly repetitive firing effects and slightly inane jingles. There’s a couple of days fun to be had from it. Enough to witness a few of the first games endings and get tired of part two’s steep difficulty curve anyway, and if you’ve got a friend willing to tackle it with you, then there’s at least an acceptable amount of value on offer given its budget price-tag. It seems odd to say that a game from a retro-rooted genre could have fallen victim to not moving with the times, but Gunbird Special Edition feels unremarkable primarily because of this. It’s less memorable than the games it pays homage to, and less exciting than its contemporary competition. 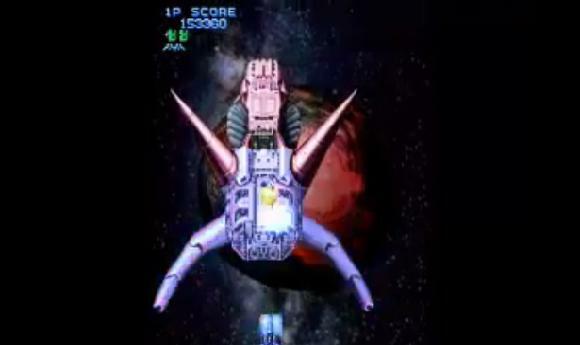 It offers accessible gameplay, fair collision detection and decent controls, but beyond its solid base, there are none of the trimmings you’d expect to drag it beyond mediocrity. Fans of the isometric shoot ‘em up will find little here they haven’t seen before, and thus it’s difficult to recommend a game that, even at budget level, has been overshadowed by superior competition.